6.30 – 7.00: Pick up from De Syloia Hotel, get on big bus and depart for Sapa. 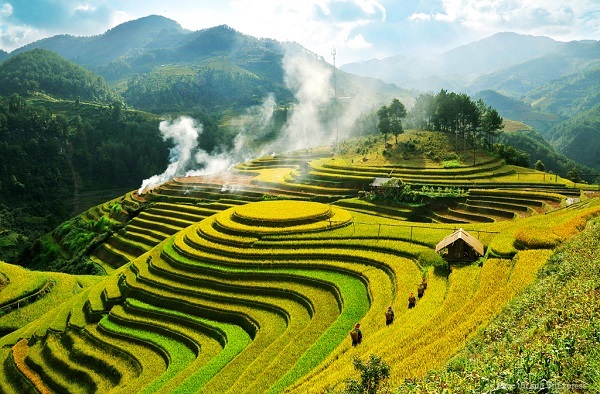 8.00: A short drive to Y Linh Ho then trek through the rice terraces and along Muong Hoa Stream to the Black Hmong village of Lao Chai to see the spectacular landscape of Hoang Lien Son Mountain then trek to Ta Van village - home of Dzay ethnic people. 21.00: Arrive Hanoi. We say good bye to you at De Syloia Hotel. Trip ends.